Brickley has served as a full-time faculty member at the Simon School since 1990. He is currently the Gleason Professor of Business Administration. His primary research interests are in the areas of corporate governance and the economics of organizations. Brickley is a past winner of the Simon School’s Distinguished Teaching Award. He has also been listed multiple times on the School’s Teaching Honor Roll. Brickley has consulted with various corporations and law firms. Professor Brickley has research and teaching interests in the economics of organizations, corporate governance and compensation policy, corporate finance, franchising and banking. His papers have been published in the Journal of Business, the Journal of Law and Economics, the Journal of Finance, the Journal of Accounting and Economics, the Journal of Financial Economics, the Journal of Economic Perspectives, the Journal of Law Economics and Organizations, the Journal of Empirical Legal Studies, the Journal of Economic Behavior and Organization, the Journal of Risk and Insurance, the Journal of Financial and Quantitative Analysis, Financial Management and the Journal of Corporate Finance. The sixth edition of Managerial Economics and Organizational Architecture (authored by Brickley, Clifford W. Smith Jr. and Jerold L. Zimmerman) was published by McGraw-Hill/Irwin in 2015 (copyright 2016). Brickley, Smith, Zimmerman and Janice Willett authored a trade version of this text entitled Designing Organizations to Create Value,published by McGraw-Hill in 2003. 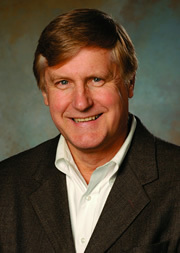 Brickley has served as associate editor of finance and accounting journals. A study published in Financial Management (Autumn 2001) re­ported that Brickley was among the most cited researchers in leading finance journals over the 25-year period of 1974 to 1998 (top one percent out of a total of 12,637 individuals). In 2002, three of his published papers received the Journal of Financial Economics All Star Paper Award (based on number of citations through 2001). Does the Decision to Retain Retiring Executives on the Board of Directors Help to Control Agency Problems in American and Japanese Firms? BOARD SEATS FOR RETIRED CEOS? IT DEPENDS ON HOW THEY PERFORM BEFORE THEY RETIRE. Is board composition a substitute for an active takeover market in banking? Journal/Publisher/Proceedings Publisher: JL & Econ. We (Wedig and Lu) have made significant progress on a companion paper to MALPRACTICE LAWS AND INCENTIVES TO SHIELD ASSETS: EVIDENCE FROM NURSING HOMES. This paper studies the effects of torts law on quality inputs and production in nursing homes. There is a classic liability literature that predicts that product/service quality will fall in some cases where liability is reduced. The major contribution of this paper is considering how organizational economics affects the quality-liability relation. For example, torts liability affects organizational form and, in turn, different organization forms a) respond to liability reductions in different degrees; and b) produce quality with differing levels of efficiency. As a result, it is possible that reductions in tort liability may actually promote quality by promoting the more efficient organizational form and vice versa. A key part of the empirical methodology is correcting for selection bias (organizational form is endogenous) in a panel data set up. Given the possibility that the selection error is serially correlated, a simple Heckman correction is not sufficient and other corrections are needed. We employ techniques suggested in (2) publications by Wooldridge and obtain bootstrapped standard errors. To date we have established that, tort reform, causes nursing homes to reduce key inputs (such as registered nursing hours) and, equally important, that large-chain affiliated nursing homes make greater reductions in inputs than non-affiliated homes. We also establish, consistent with our earlier work, that tort reform encourages the entry of large chains into reform states. Our remaining work on this paper will focus on the effects of changing inputs on quality and a full simulation of the effects of tort reform on quality.